(3) enables you to set up an interim night campaign. 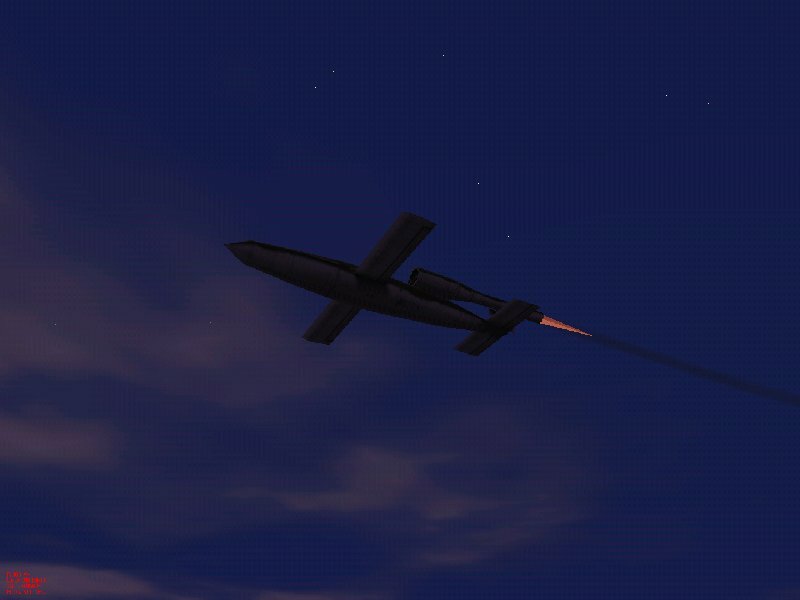 It crossed my mind that we might be able to do something about engine exhausts using the code used by the V1 for its ramjet exhaust. 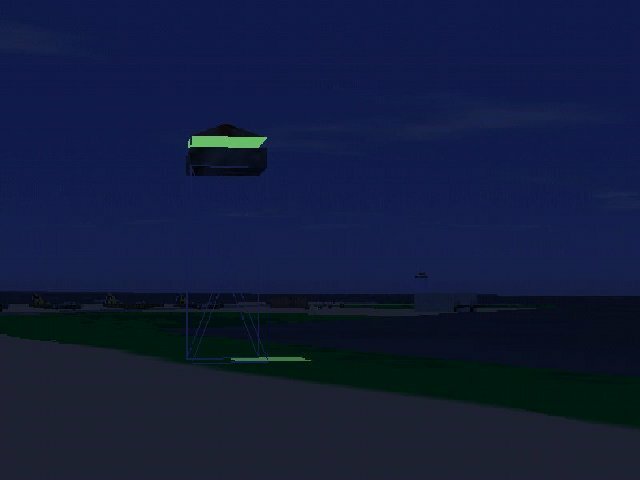 The V1 3dz cycles a set of elements and colours for the jet exhaust that in the original model are not luminous and do not show up after dark. What I thought was that we might used those element code numbers and use one colour type 3 elements using the palette numbers we do know are luminous - whites, reds and yellows. 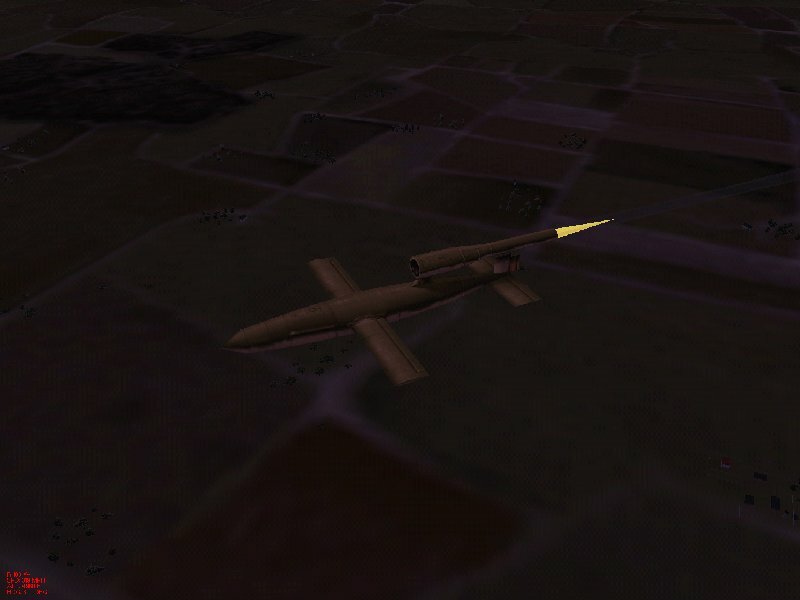 I thought I'd experiment with the V1 to start with. so I changed the element types for the exhaust and made them cycle through the luminous colours. It seems to have worked. 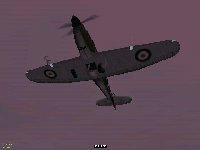 The Dunkirk addon Here contains an entire mode devoted to night action. 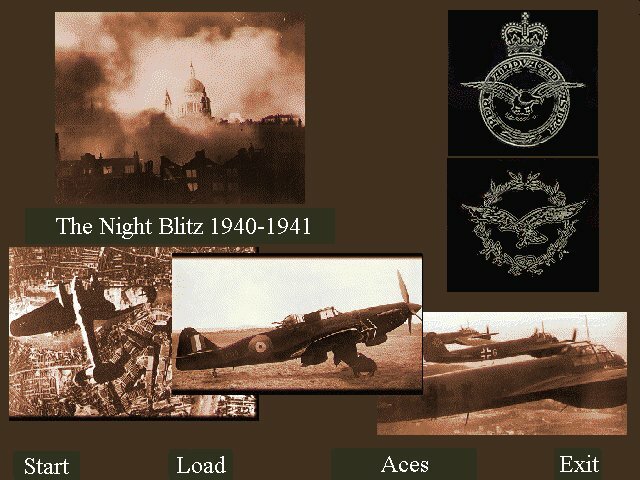 Squadron missions are provided for the RAF Bomber Command Wellington and Blenheim, and the Advanced Air Striking Force Fairey Battle, some or all of which are night missions. 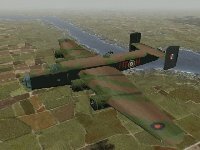 On the German side squadron missions are provided for the primitive night fighter squadrons flying Bf 109Ds and Me-110s. 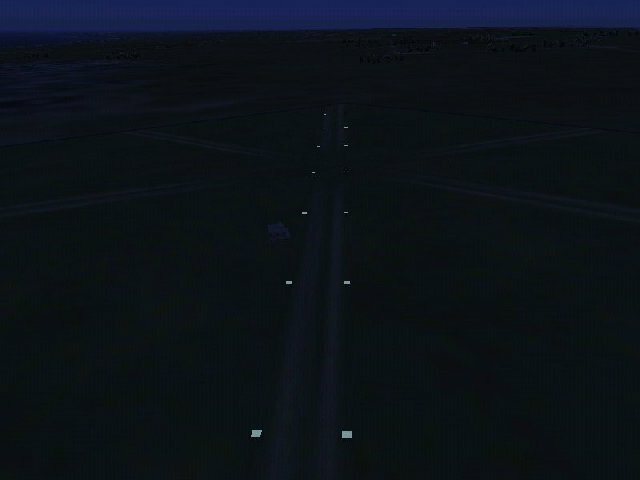 All of these aircraft have navigation lights. 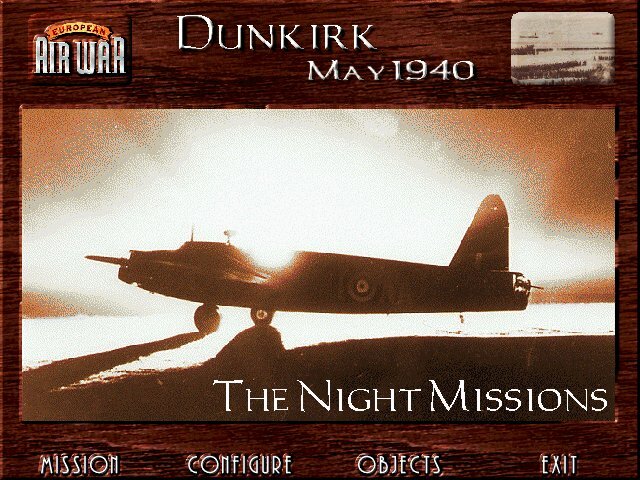 In addition the Dunkirk addon can be run in open nightime mode which you access to all the aircraftin the addon to fly user defined night missions. 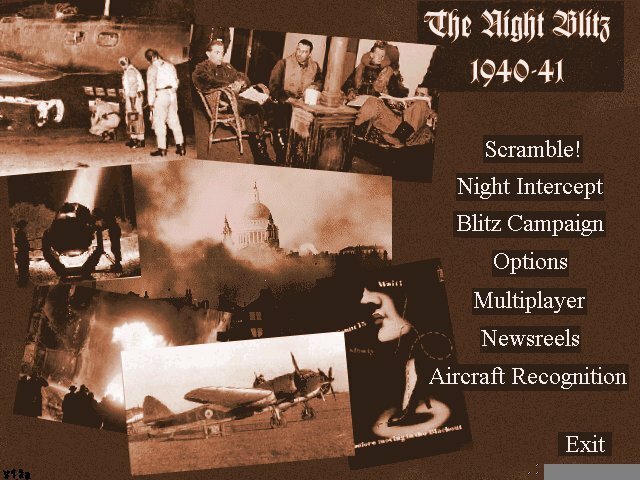 For some time I had been looking for a way to make a nightfighter scenario real. This required lights, I couldn't find anything that would work. 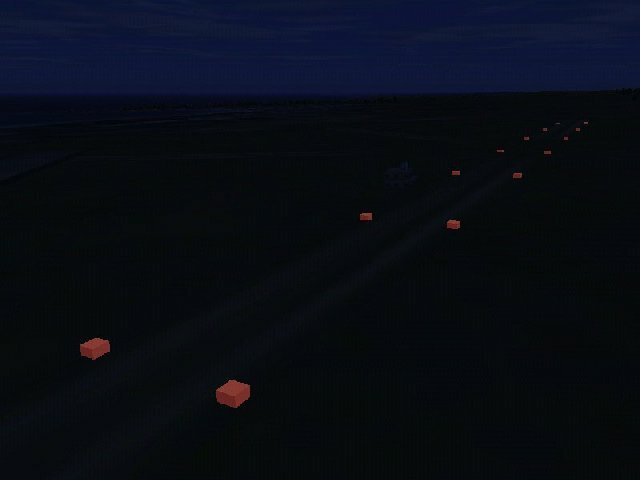 It was a happy accident that I was flying a test mission in the Midway scenario and returned to the atoll after dark. 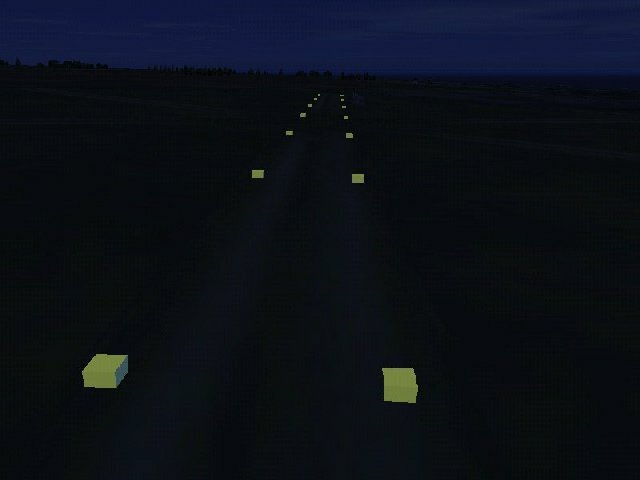 There were lights comming from some of the panels in the reused PAW mods. The lights problem was solved. We appear to have three shades of luminous colours in the EAW palette - whites/greys (palette nos 240-255), reds (224-229) and yellows (230-239). These colours can however only be used with a panel on a 3dz shape that is defined as a type 3, which Paulo Morais describes in his notes as "a coloured polygon surface painted in single colour of index given" i.e. the palette number of the colour is specified in the 3dz file. 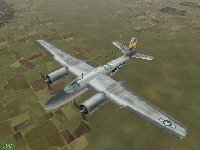 These colours will not behave luminously if added to a standard skin for the more usual type 5 "opaque textured polygon" type element skinned from a texture file.